"Horn Please" could be considered the mantra of the Indian highway, and some version of the phrase is written on the back of practically every truck on the road in India today. One unmistakable feature of the Indian highway is the presence of these brightly decorated trucks that ply the country's roads. 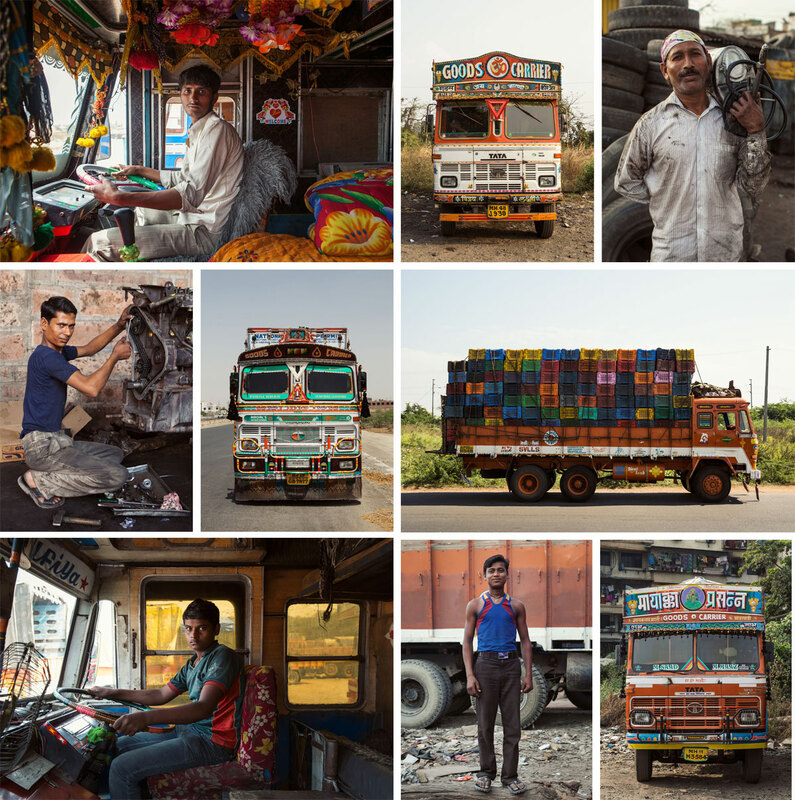 The men who drive these trucks spend long hours on the road and can be away from their families for weeks at a time, so their trucks act as a second home and they take great pride in them. The interior and exterior of the trucks are colorfully decorated with paintings, stickers, garlands, tassels, and shrines, which are not only a unique form of folk art but also an expression of individualism. 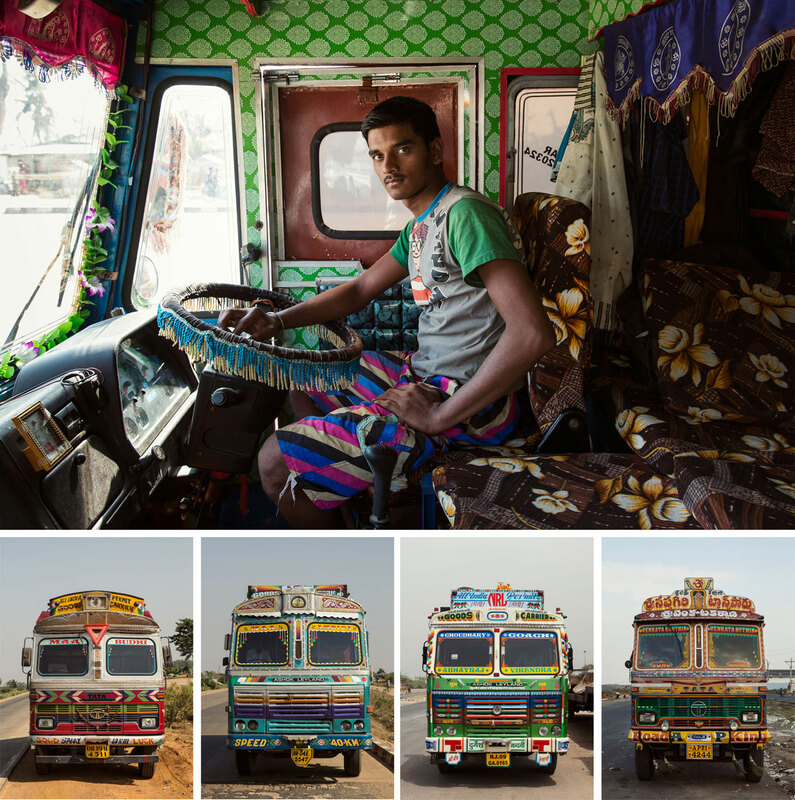 Photographer Dan Eckstein traveled across India's byzantine and burgeoning road network documenting these elaborately decorated trucks festooned with lights, brightly colored text, paintings of Hindu, Muslim, Sikh and Christian deities, pop cultural fixtures and geometric patterns–symbols representing a blinding mashup of new and old India. What Eckstein produced is a singular portrait of the subcontinent–distinctly Indian, and a vividly colored reflection of this country in flux between tradition and modernity. 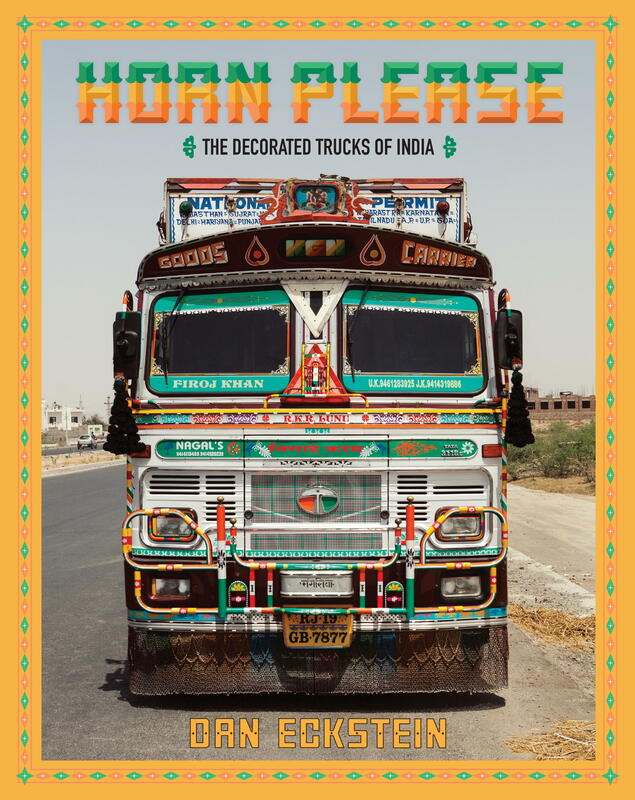 Horn Please serves as a psychedelic guide to design in India, from the hand-painted lettering covering the trucks, to the mindboggling use of color, to the specifically Indian patterns and motifs, and a showcase of the visual vernacular of the subcontinent. Please click here for a preview of Horn Please. **For best quality viewing, download this PDF to your Desktop or open in Safari. Dan Eckstein (b. 1980) is a photographer based in Los Angeles, CA and Brooklyn, NY. Born and raised in Western Massachusetts, Eckstein spent four years studying photography at Skidmore College in Saratoga Springs, New York. After graduation, he moved to New York City to assist renowned Magnum photographer Steve McCurry. Eckstein's work has been widely published and was included in The Collector's Guide to Emerging Art Photography. Recently he was awarded Best Photo Essay in PDN's World In Focus contest and included in American Photography 30. High–res scans to your specification are available upon request; scanning from the book or lifting images from the mechanical file are strictly prohibited. Mandatory credit line: From Horn Please: The Decorated Trucks of India by Dan Eckstein, published by powerHouse Books.